Solid or Engineered Timber Flooring? When revamping your home, the choice of which type of flooring to use can often be the most important and challenging decision. Not only can the flooring you choose massively alter the appearance of a room, but you feel it underfoot with every step and it can even affect the temperature in your home. Carpets offer warmth and cushion but can quickly wear out, hold germs and smells and be inflexible with future decorating. Tiles offer durability but can feel harsh underfoot and can leave a room feeling cold. 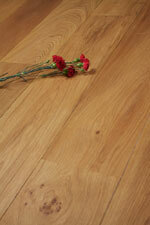 With that in mind, many people opt for a genuine timber floor due to its durability, beauty and flexibility. 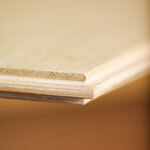 The next big decision is whether to stick with a solid board or go for engineered timber. Here we will look at key areas you should consider when making the choice and which is the best option. Timber floors are ideal for a long term investment as they can be sanded and refinished multiple times, particularity if you buy a quality thick board. However, many people find that a solid board carries with it a lot of inherent issues. Any changes in humidity, simple spillages or simply the passage of time can often result in the floor cupping and twisting rendering it useless. Since engineered timber boards are held together using plywood bonded in opposing directions, engineered flooring is more stable should last you a lifetime while offering better protection against spillages. After the flooring has been laid, it is impossible to tell the two options apart. Engineered flooring is a genuine timber veneer and as such looks identical in every way. Regardless of which option you go for, do not underestimate the differing looks of the different types of timber available. As usual, you really do get what you pay for. Also, since engineered boards are generally much stronger, you can source wider and longer boards in engineered timber much more easily, ensuring the most natural, beautiful finish available. One of the key benefits of engineered flooring is that it is often processed with installation in mind. Many of the engineered boards available come with tongue and grooved sides to ensure that even an amateur DIY enthusiast should be able to cope with fitting it. Solid timber flooring generally can be much more difficult to install and will often require the services of a costly professional. However, make sure you double check with your supplier before you purchase your floor so you know exactly what your getting. As surprising as it may seem, engineered timber flooring is unquestionably the most environmentally friendly timber flooring on the market. Trees such as Oak Trees, take many decades, even centuries to grow. Since an engineered board uses only a veneer, they require much less of these precious timbers and the backing plywood is made from much more sustainable trees. Of course, always look out for certification from reputable organisations, such as the PEFC, when purchasing your flooring from any company to truly give you peace of mind. Generally speaking, an Engineered Timber Floor lends itself to being more flexible. Due to the volatile nature of a solid board, it is not recommended to use it with underfloor heating. A good quality engineered board however will go on underfloor heating, over joists, in every room of the house and can be fitted in numerous ways such as, secret nailed, glued and floating floors. Final Score - 1-5, Engineered Timber Flooring wins. Engineered flooring is without doubt the choice of the experts. It carries the stunning appearance of the solid board, but eliminates the inherent problems that come with it. If you buy a good quality floor, then this is an investment that will last you a life time. Make sure you buy a quality product from an established, reputable company and your Engineered Oak Floor will undoubtedly surpass all your expectations. This article was contributed by Bicknells Oak Flooring, Specialists in premium engineered oak flooring – checkout their website for details of their products.